Each time I text you good morning, it’s not just a morning greeting. There’s a silent message saying I thought of you as I woke up this morning! Good morning! 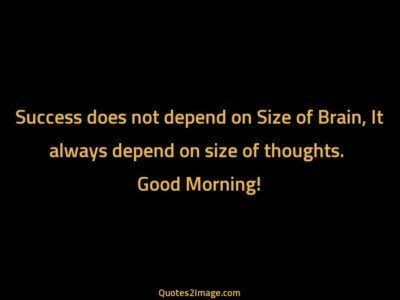 Success does not depend on Size of Brain, It always depend on size of thoughts. Good Morning! 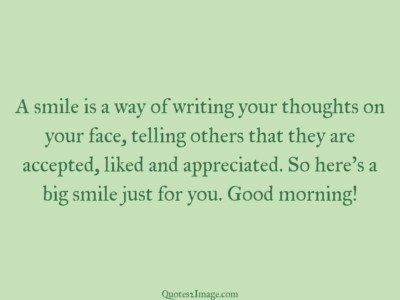 A smile is a way of writing your thoughts on your face, telling others that they are accepted, liked and appreciated. So here’s a big smile just for you. Good morning! no sweet thoughts to forward, no cute graphics to send, just A…… TRUE HEART saying…… NICE TO HAVE A FRIEND LIKE YOU! Thoughts of love are too deep to be expressed and are too strong to be suppressed.. ! Thought of the day: A bachelor can only chase a girl until she catches him! 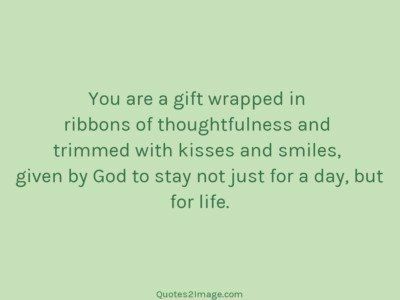 You are a gift wrapped in ribbons of thoughtfulness and trimmed with kisses and smiles, given by God to stay not just for a day, but for life. 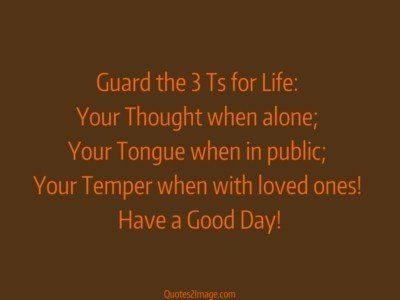 Guard the 3 Ts for Life: Your Thought when alone; Your Tongue when in public; Your Temper when with loved ones! Have a Good Day! The shortest way to glory is to strive to be what you wish to be thought to be. Good Night! Always remain with that person in your life… who touches your thought and your soul – rather than someone who considers you simply a time-pass!